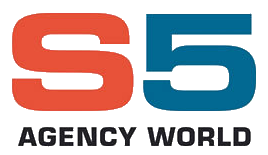 S5 Agency World is an organization with strong values of responsibility and integrity. S5 operates with integrity and respect to achieve the highest standards of service from its employees across all levels. Our Code of Conduct contains general guidelines for conducting business with the highest standards of ethics. S5 Agency World is committed to an environment where open, honest communications are the expectation, not the exception. We encourage you to approach us in instances where you believe violations of policies or standards have occurred.